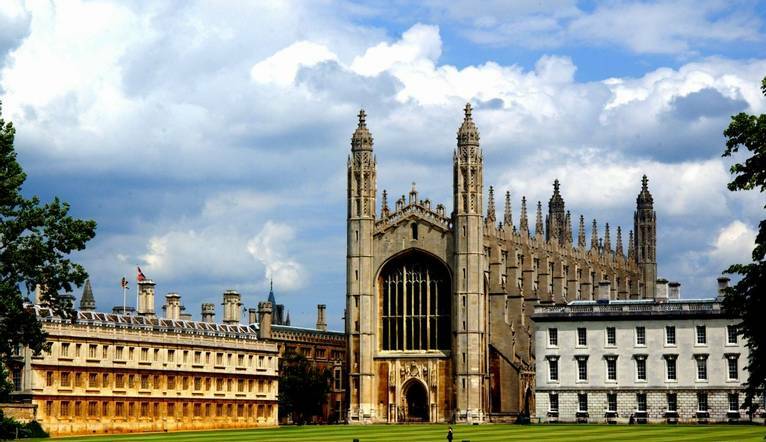 Cambridge is just the ticket for a weekend away. Join us to explore this beautiful city and soak up its centuries of history. Sociable dinners in the company of new friends! Based just outside this famous university city, our break gets underway on Friday evening as we mingle over a welcome drink and dinner. The following morning takes us into Cambridge itself where we meet up with our local Blue Badge guide for a guided walking tour. This picture postcard English city, home to one of the world’s great universities founded in 1209, is full of places of historical interest and wonderful architecture. Your tour will be both informative and entertaining and will be a great introduction to this diverse city. There will be plenty of time in the afternoon to explore, admire the architecture of the beautiful museums and art galleries or discover the quaint passages set around the historic market. Perhaps visit Kings College and its spectacular chapel and beautiful medieval stained glass (entrance fee will apply). Weather permitting, take a stroll through Cambridge University Botanic Garden (entrance fee will apply) with its display of over 8,000 different plant species in 40 acres of beautiful landscapes. Alternatively, head to one of the punting stations and take a chauffeured punt for unique views along the River Cam. The hotel is within a few miles of Junction 13 of the M11 and Cambridge Station is 10 miles from the hotel. Complimentary car parking is available. A morning guided walking tour is included of this picture postcard English city. The afternoon is at leisure to admire the architecture, take a stroll in the Botanic Gardens or go punting on the River Cam. The dress code for during the day is casual. In the evenings the dress code is smart with gentlemen requested to wear a shirt and tie. Comfortable shoes for walking and sightseeing are recommended.